Here at the MTC, we know that our work would not be possible without the hard work of our very valuable volunteers. 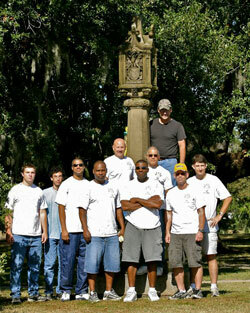 Volunteers are needed for everything from monument preservation to office administration. If you would like to receive information on becoming a MTC volunteer, please call us at 888.534.3936 or email info@monumentaltask.org. To expedite the process, please download and fill out our volunteer form below.